As part of their Stretch extra curricular programme, members of the Sixth Form have been learning a new way to communicate: sign language. For Year 12 student Biba Coulter Young it proved to be a challenging but thoroughly rewarding experience. “I was fortunate enough to take part in sign language training as part of Year 12’s Stretch lessons. Stretch is a programme of timetabled periods to learn skills outside of your chosen subjects. “During the sign language lesson we learnt basic skills such as the alphabet and greetings for different times of day, as well as family members, different types of music and more. “I really enjoyed this and had loads of fun. In fact, I have continued to teach myself after the lessons ended. I particularly enjoyed this because it was stepping out of my comfort zone and, although at points it was difficult, it was worth it and was very rewarding when I managed to complete a phrase. 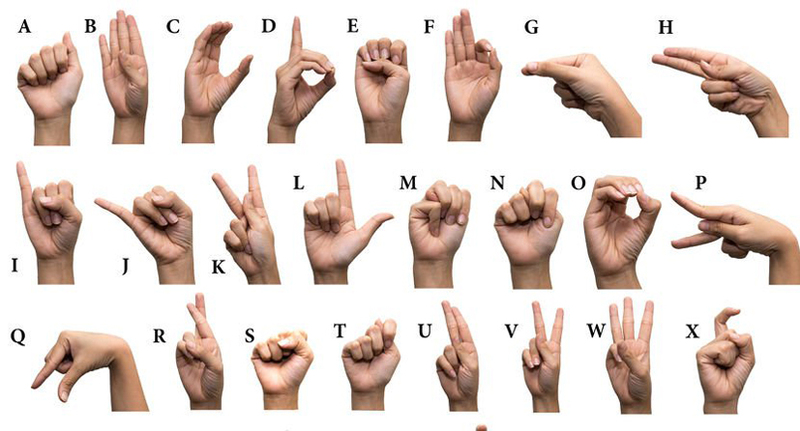 “Sign language isn’t just about hand signs, as it may seem, but facial expressions as well; this is because many of the signs are the same and although the words are mouthed, facial expressions are important to convey meaning.